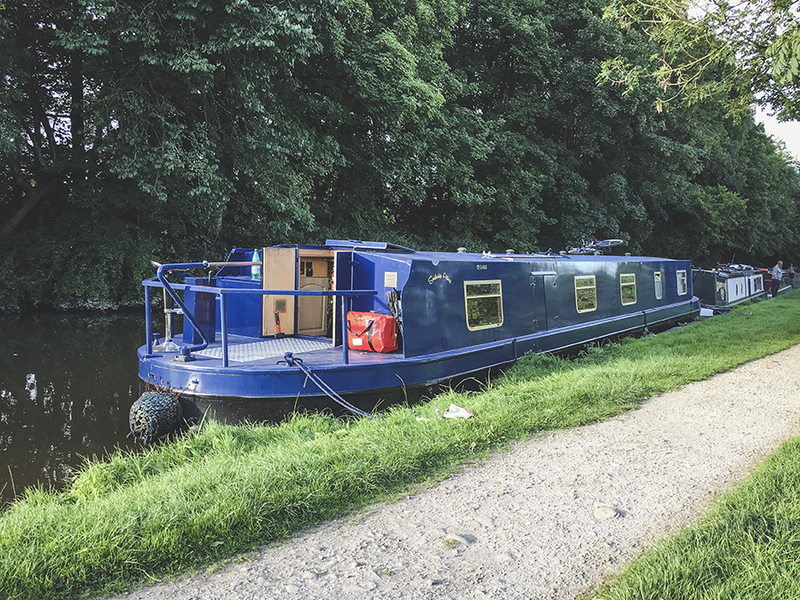 Almost five hundred miles, one hundred and eleven locks, two long tunnels, one drydock, countless swing bridges and one fifty hour sea passage were just some of the challenges we were up against to bring our canal boat from Lancashire to London. 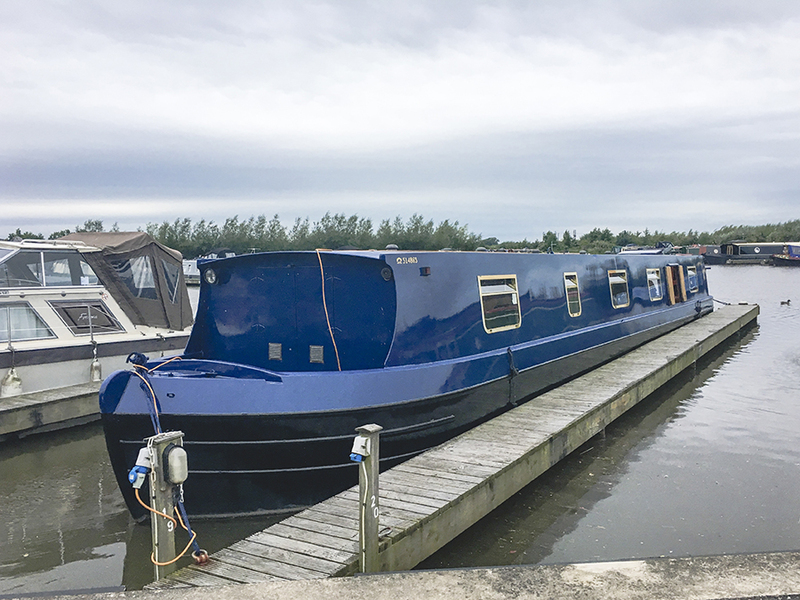 We looked into having it craned out of the water and put on the back of a truck but the price was too high, and travelling through Northern England via the canal network in late summer sounded like an adventure. 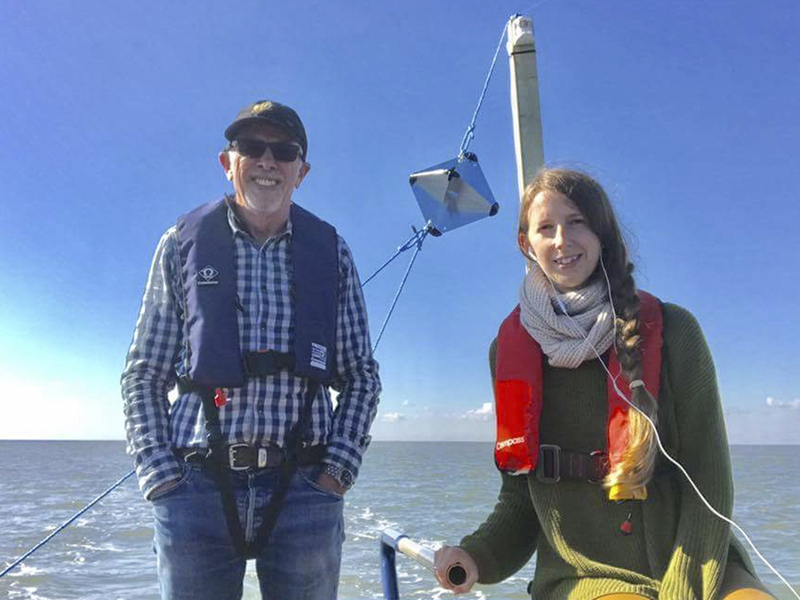 We left on the 23rd of August 2017 and arrived into the mouth of the Thames river in London in the early hours of the morning of the 25th of September. 33 days. These are some moments from the journey. 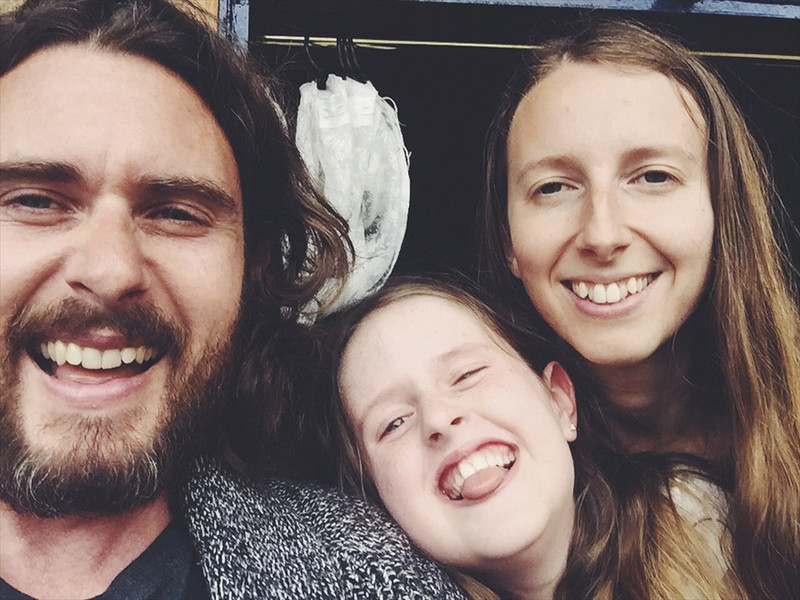 *Almost all of the photos here are just snaps from my phone…I’d lost the passion for taking photos (see here) and hardly had any time for shooting properly, I never planned to share these but realised they are the only visual documentation of the journey that I have. It was 2.35pm on a sunny Wednesday afternoon when we left Scarisbrick Marina in Ormskirk near Liverpool where our boat had been moored. I don’t think the enormity of the huge journey ahead had really sunk in. We were blissfully unaware of the extent of the hard work that lay in front of us and we spent the afternoon learning the basics of driving our new boat and feeding ducks in the sunshine. In the weeks leading up to this day I had felt desperately impatient for the journey to begin and to transition out of uncertainty into living fully. I was relieved to be moving again. Soon after we started the journey our days fell into a sort of chaotic routine. We travelled between eight and eleven hours a day most days. 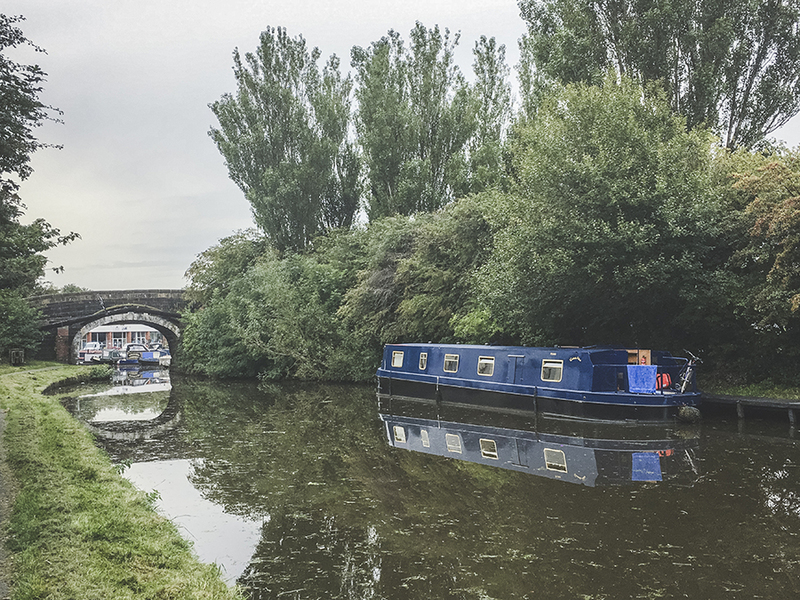 On the third day we had to take our boat up the Wigan flight of twenty-one locks, which involved a lot of hard physical work – by the end of day three I was already wondering what I had got myself into. Some days there were two of us, just me and my dad who had kindly given up a month of his retirement to skipper for us and without whom it would have been impossible. Other times there were three when Chris was around, and sometimes four when his daughter Issy was with us too during the school holidays. 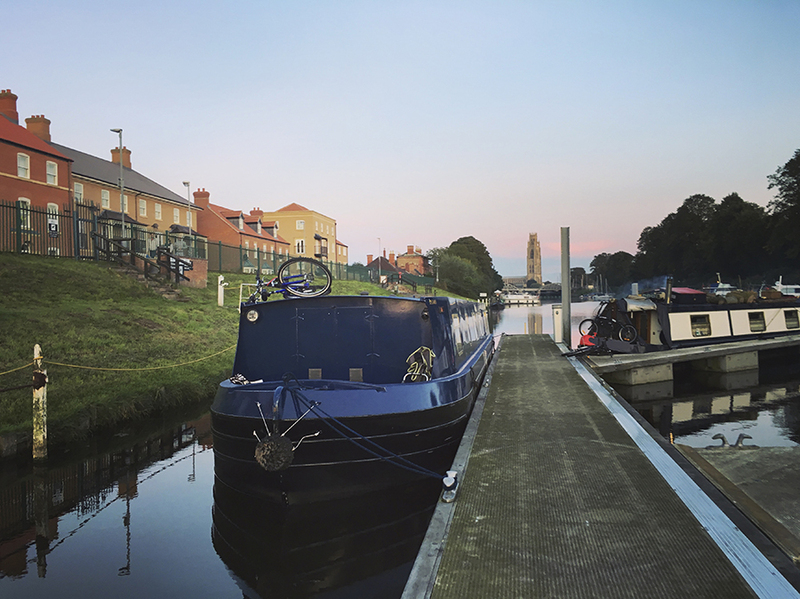 Some things were constant – the continuous whirr of the engine, the early starts, the huge number of locks we had to pass through, and other things were in continual motion, like the landscape slowly unfolding and the many different towns and villages we left in our wake. Things went smoothly until we got to Skipton in Yorkshire. We had problems with our rudder and had to take the boat into dry dock to be fixed. 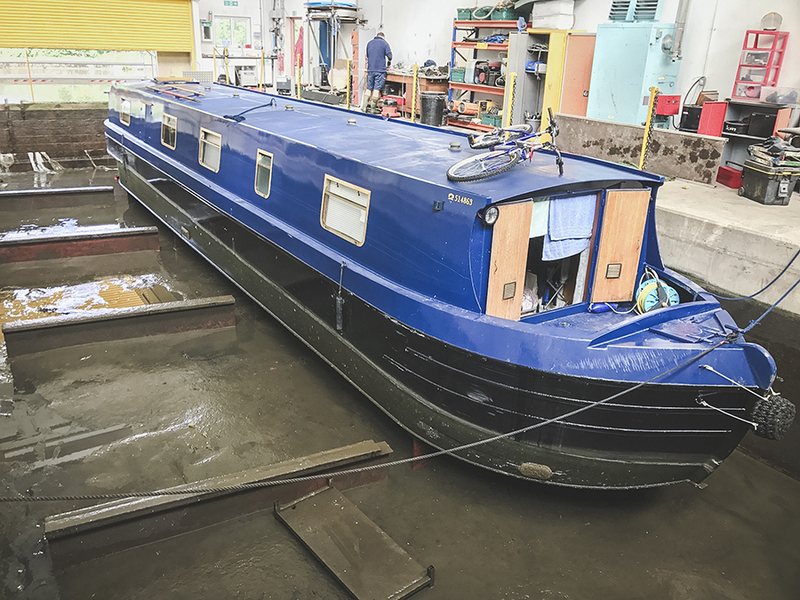 It was frustrating to have to stop as we had been hoping to be in London with the boat for when Issy started school in September, but the dry dock had kindly fitted us in between jobs and within a few days we were moving again. My favourite moments were the quiet, unassuming ones. Watching a heron take flight on the shore, sitting alone in the sun on the bow of the boat and being fully present in the moment, watching sunsets over the canal with Chris and a glass of wine, lying in bed listening to my dad and Chris up late chatting, foraging wild meadowsweet and making herbal teas and balms, and putting my things away in their right places after living out of a suitcase for so long. I was glad when we finally made it to Boston. That was before I realised I’d be stuck there for almost two weeks. Reaching Boston felt like a milestone, it was the end of our canal journey and the beginning of the sea passage. 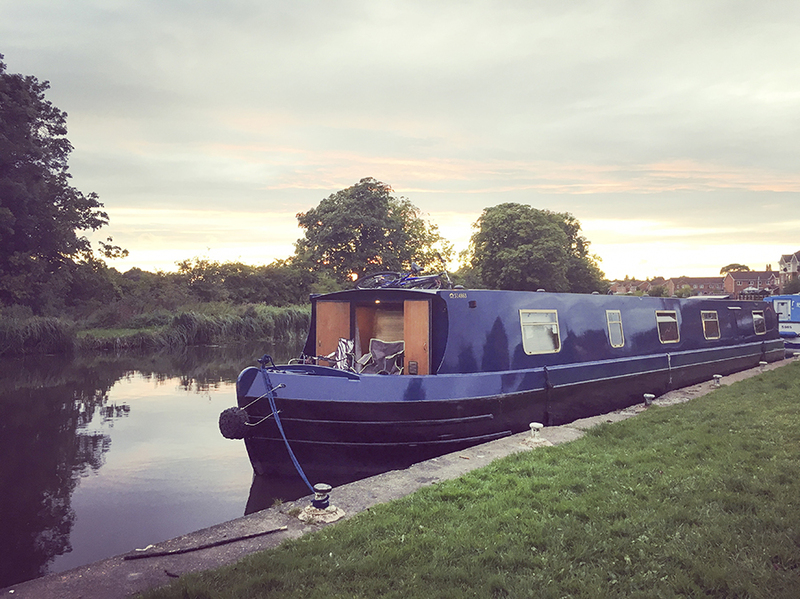 People had advised us against the sea journey, our boat has no keel and whilst it is sea worthy in coastal waters it is not designed for the ocean, but unfortunately as our boat is a widebeam we were unable to take it entirely through the canal network due to some narrow parts of the canal. Without my dad’s marine and navigational knowledge and experience I certainly wouldn’t have done it, but here we were in Boston and it was too late to turn back. I spent quite a bit of time alone in Boston. We had to wait for the perfect weather as we couldn’t risk getting caught in a storm. My dad went back to Edinburgh to wait for the right shipping forecast and Chris had childcare responsibilities back in London. I was ready for the journey to be over and I didn’t really want to be in Boston for any longer than I needed to. 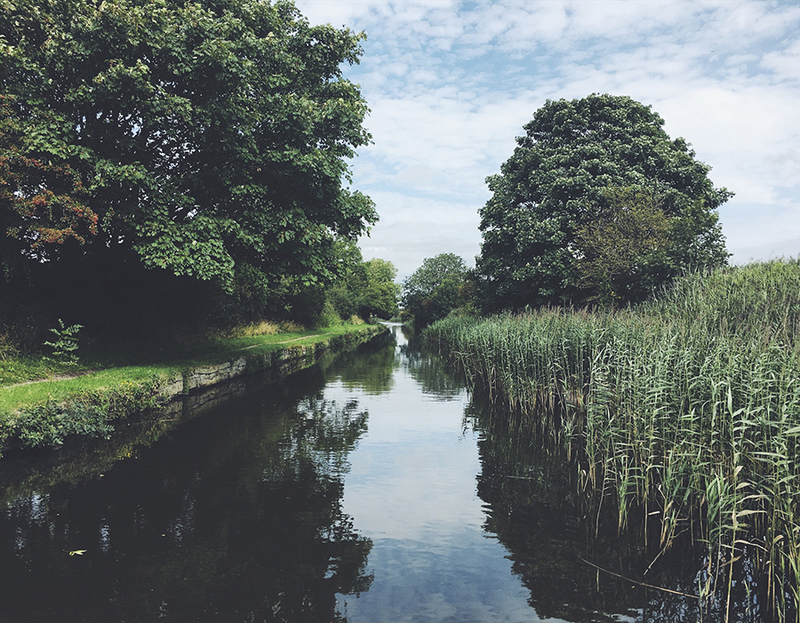 I was exhausted from the physical work of bringing the boat through the many locks and swing bridges on the canals and I felt deflated by the depression and anxiety that had insidiously crept in over the past year and which seemed to be exacerbated by Boston. It was mild compared to what many people I know have to endure, but the nightmares, worry, sleep paralysis, and unsettling uncertainty of my current life situation made it feel all the more urgent to get to London and settle for a time, finally. Boston seemed to perfectly mirror my inner state with it’s grey buildings and grey skies and feeling of hopelessness in what was once a thriving port town. 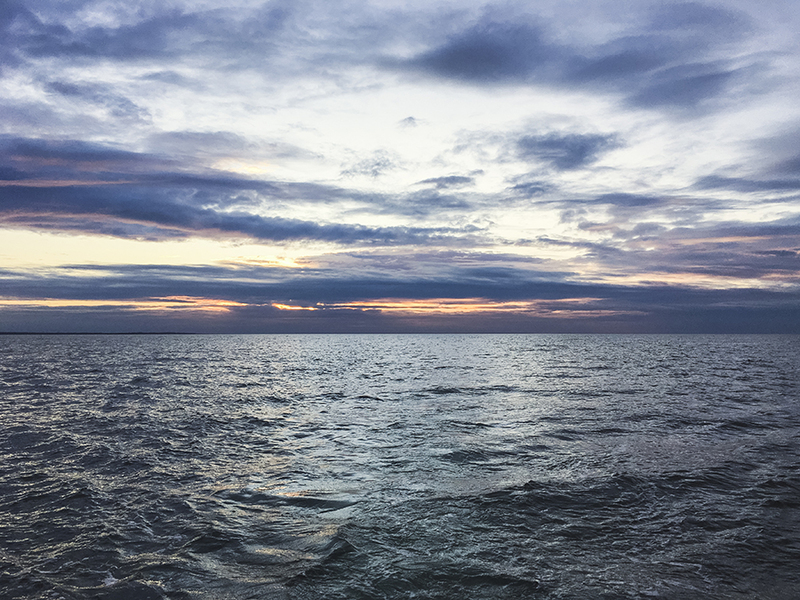 It felt like my life was on hold as I waited for the weather to be safe enough for us to go out to sea, isolated from family and friends in an extended state of limbo in a place I found uninspiring and dull. I spent most of my time applying for jobs near London, reading, and thinking too much. Our electrical inverter broke down one day so we had no electricity. We bought a new one but there was a gap where we didn’t have anything. We went to the only nearby pub for miles to try to charge our phones and laptops, but when we got there they were using candles to light the place. Ironically our inverter had chosen to be out of action the exact day that their electricity was down too. At times like this sometimes it felt like the universe was against us. Something I always hold on to though is that if you look closely enough there are always positives. Being alone in Boston gave me a chance to reflect. I made friends with a dog called Molly who was very needy and would howl on the stern and scratch on the door until I came out to cuddle her. Chris came back from London and we went for walks along the tow path, foraging herbs and making friends with cows. I saw some incredible sunsets where the entire sky lit up on fire. 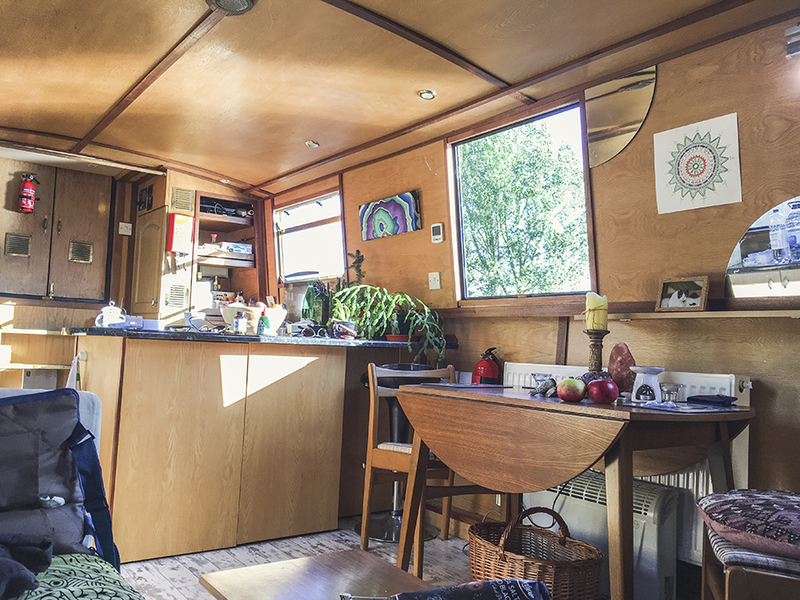 There were a lot of calm peaceful moments, feeding waterbirds, drawing, and doing yoga. I had a dream just before we set off on the journey. I was out in the open ocean, perhaps I had fallen from a boat, and the waves were crashing violently around me. I knew I was probably going to die. A particularly enormous wave came, like a tsunami rising from the water, and I thought ‘this is it’ and surrendered my life as I was pushed below the surface and down into the turbulent depths, but then a funny thing happened. Instead of drowning, a pocket of air and safety suddenly opened up at the ocean floor with me inside of it. I could hear the waves still crashing and breaking above me but I was in this safe cocoon, a bubble of sanity away from a treacherous storm above. I woke feeling strangely calm. It felt like a premonition, and a promise that there was a safe place to retreat to within, even when the outside world looked and felt like chaos. On September 21st there was finally a good shipping forecast. The waves were supposed to be ‘slight’ rather than the ‘moderate’ which had dominated the forecast for weeks. We decided to go, but we were only a few moments into the open water of the Wash when the waves got bigger and our poor boat was corkscrewing in the swell. 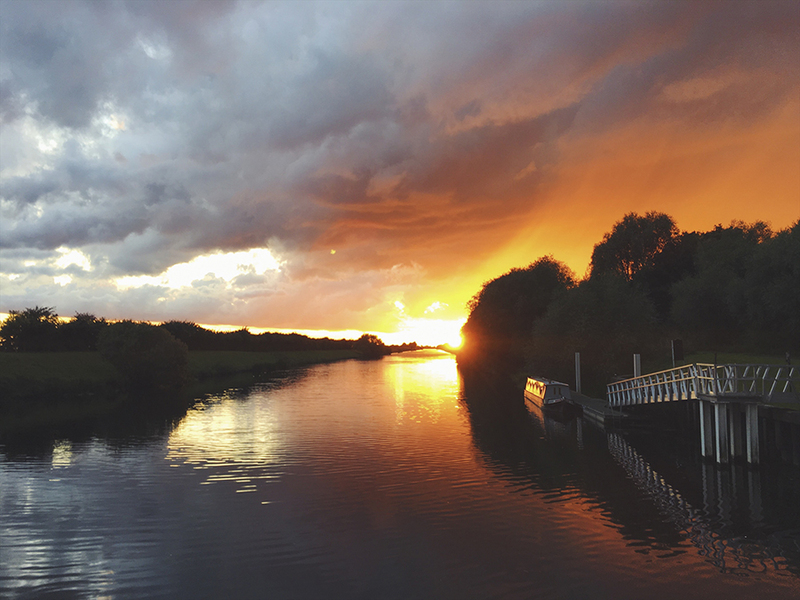 The few possessions which we had left out were sent crashing to the floor and we had to admit defeat and take shelter in the Great Ouse river by King’s Lynn. The next day we set out again. Chris had to go back to London to take care of Issy and so it was just me and my dad again. It was a misty morning and we sailed off into the grey fuzziness. I was disappointed that Chris couldn’t come with us because it meant a lot more work for me and my dad, the journey was close to fifty hours in total, so with only two crew sleeping for more than an hour or so at a time wasn’t really possible, but it was what it was and none of us could change the circumstances we had been dealt. 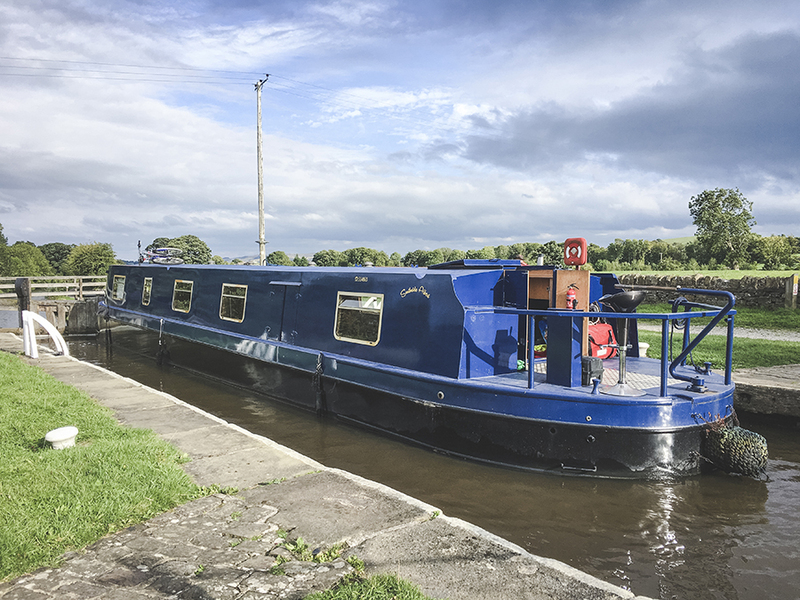 Before the boat journey I knew nothing about marine navigation, boats, engineering or driving canal boats, it was a very sudden and steep learning curve. I knew nothing of navigating the coastal waters at night, or how to find the safe channels using the red and green bhoys, or how to understand the tides and the effects they had on our speed. However with only two of us crewing I had to learn everything so that I could drive the boat alone while my dad took food and nap breaks. 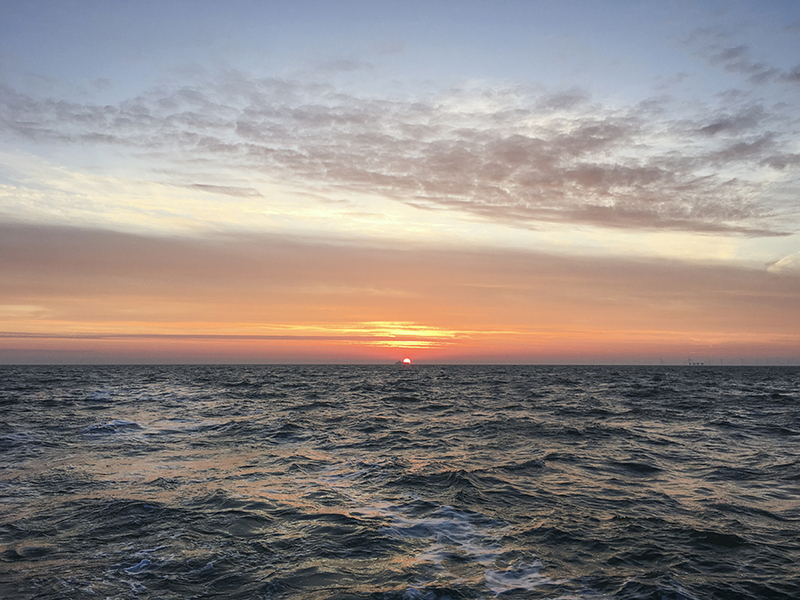 We sailed through the night on two consecutive days, with only a few hours respite in Lowestoft in the middle to get fuel, a total of forty-four hours, and then after resting in Queenborough for the night it took another nine hours to get into the Thames. The weather worsened considerably after the first twelve hours and the rest of the trip was spent rolling and corkscrewing constantly. 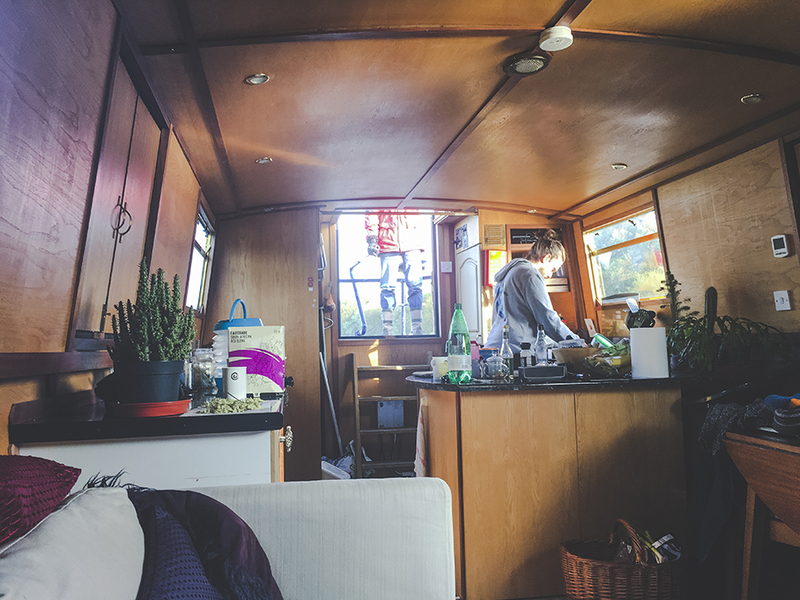 We tried to do two hour shifts driving the boat so that each of us could rest and eat regularly, but I had pretty bad sea sickness for the majority of the journey so spent a lot of that time curled up on the sofa wondering why the hell I had thought this was a good idea. Sailing the boat alone through the night was a surreal experience. Nothing but blackness and rolling waves lit up by our headlights in every direction. It felt like a parallel universe outside the normal laws of space and time. 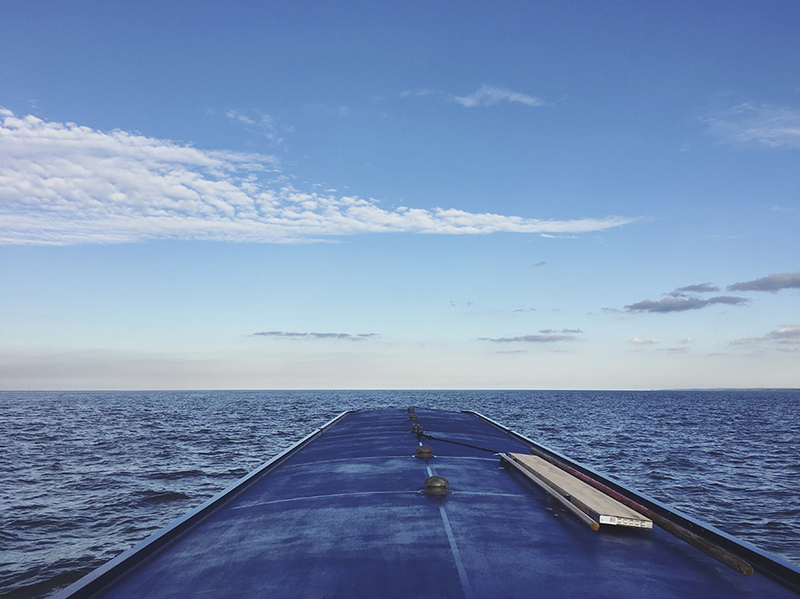 Despite the intense rolling of the boat, sometimes so much so that I had to hold on for my life as there was only a half rail between me and the ocean, there were times when I felt a deep peace out there with no-one. With my dad asleep, it was only me and miles upon miles of darkness, stars and water. The movement was rhythmic and rocked me into a sense of calmness that defied the circumstances. Small concerns lost their importance when faced with this colossal task and I took comfort in the beauty of the entire universe spread out above and in front of me. A lot of the time I could see the coast, which was reassuring, but when the moon turned the tides against us our speed decreased to almost nothing and sometimes we would be travelling past the same piece of land for what felt like an eternity. At one point we were passing Great Yarmouth with it’s bright industrial lights and I left to take a break, yet when I returned to take over from my dad an hour or two later we were still passing the same place. Sometimes the bhoys there to guide us seemed more like menacing monsters, they were huge up close and rang out a solitary and ominous sounding bell to warn of rocks and obstacles as we passed, sometimes too close as my ability to drive the boat decreased in proportion to the hours I had been awake. At some points I felt like I was going completely mad, but I guess that is what the concoction of sleep deprivation, exhaustion and sea sickness does. After what seemed like an entire lifetime we were finally coming in to the solace of Queensborough harbour. The sun was just rising and the water danced with yellow, orange and red. The relief of sleep and the safety of the harbour were like bright beacons of light after the dark and treacherous nights. 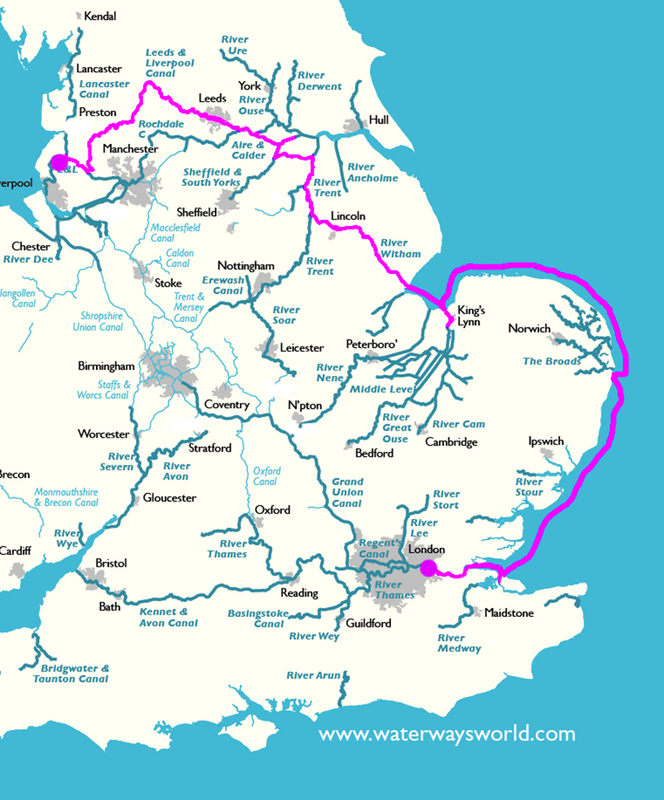 After resting at Queenborough we still had to get into the Thames, through the flood barrier and Thames lock, and into the canals. 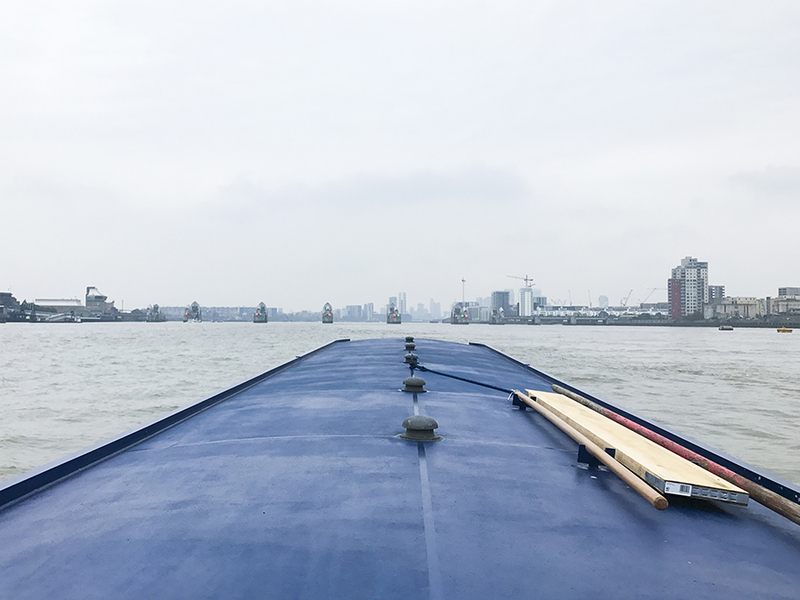 It was another nine hours journeying up river and I was beyond exhausted, but seeing the Thames flood barrier in the distance was one of the best moments. Anyone who knows me knows that I’m about as far from a city person as you can get, but I have never been happier to see London’s skyline with it’s tower blocks and landmarks appearing in the distance through the clouds. Almost 500 miles, a month out of our lives and a journey that was both extraordinarily beautiful and also for me somewhat traumatic, but we had finally made it. We were home, and the relief and satisfaction was made all the sweeter by the journey that had come before. “The amount of weather you can endure is directly proportionate to the amount you will gain. Weather rises in fierceness and crashes into your shore and then it subsides. The only thing we can hold onto knowing is that it does recede.” Sarah Blondin, Live Awake. That’s beautiful young man. I don’t cane where you got your literary style fae, but it’s grand. I thought the entire trip was a blast and I wouldn’t have missed a minute. Especially the criminally cheap Guinness in Wetherspoon’s in Goole. Should be a lor against it. Wow what a trip!! Hats off to you and your Dad!! Not many dads would’ve done all of that and wow what a learning curve for you too! You described it all so well, I could really imagine what it was like and I almost cried when you were alone and dealing with your own inner state but it all worked out – 50 hours of a turbulent trip & the prize was a beautiful life with your man and his daughter! Fabulous!! I love the canals. The thought of all the navies toiling away to produce the waterway across the land and now giving pleasure to so many people as they travel the system. At times in the country and at one with nature and then arriving at some industrial town, maybe still a bit dirty with old warhous s and barbed wire. You had long days and the odd mechanical or electrical hiccup but what an adventure. Hard work as you followed the coast south but a feeling of space and the moon reflected on the sea through the night. A welcome from the sun in the East, great to arrive in port but after some fish and chips and beer a longing to be out to sea again! Well done, not only for completing the trip but for writing it up so well.